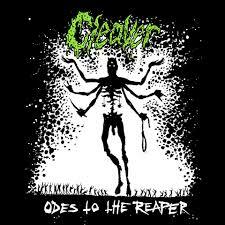 "Odes to the reaper" is the 2nd full-length from CLEAVER - based in Trondheim, Norway. Deathly Thrash Metal or Thrashy Death Metal is what you are served and this is the first album for vocalist Kjetil Hektoen (SJODOGG, ENTHRAL, ex- CREST OF DARKNESS ) to rip his throats for Cleaver! Nine brutal songs awaits! "Odes to the Reaper" was recorded at Dreamfarm Studios and cover art is done by the amazing artist Kim Holm who has previously has done work for bands like VREID and SÓLSTAFIR. Pro Printed cassette-version limited to only 50 copies released by Snakeoil Kassettforlag!